Albany County Legislature nears vote on 50-year lease for site near airport. An overgrown entrance to the former Ann Lee Nursing Home in Colonie, NY. A housing project for homeless veterans five years in the making is poised for approval by the Albany County Legislature. Last week, the Audit and Finance Committee approved a 50-year lease agreement for the former Ann Lee Home with Soldier On, a Massachusetts-based nonprofit that provides homes for homeless veterans. 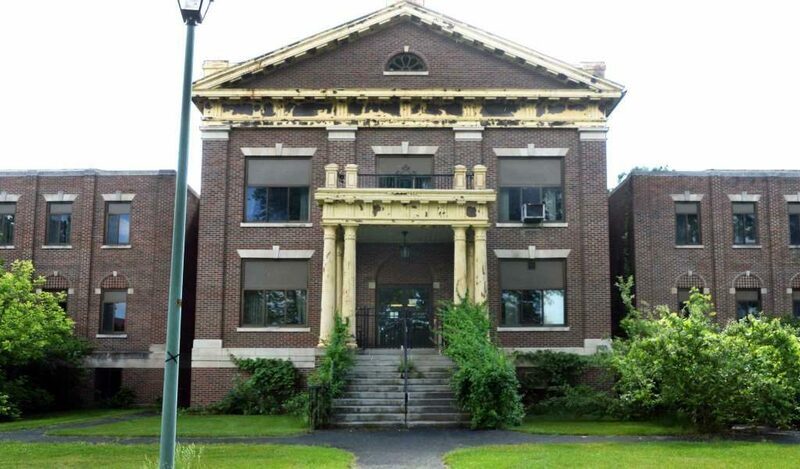 Soldier On will take over the building off Albany Shaker Road, adjacent to the Watervliet Shaker National Historic District. Soldier On’s proposal is to renovate the 91,320-square-foot former nursing home into about 100 apartments and to construct two three-story buildings with an additional 100 apartments. The project will cost between $25 million and $30 million, said John Downing, CEO of Soldier On. The money will come from a mix of state and federal support, including affordable housing grants and tax credits. Downing expects to have a $5 million to $6 million shortfall, which Soldier On will fill by direct fundraising and private foundation support. The Ann Lee Home closed in 2008 and Downing said he first visited the site in 2011. It was a perfect location, he said, because it is close to the Albany International Airport and public transportation. Soldier On began pursuing approvals from the town of Colonie and the county in 2012. The committee vote signals the County Legislature will likely approve the project at its June 13 meeting. The committee also voted to issue a “negative declaration” after an environmental review of the site, which means the group doesn’t think development of the veterans’ community will negatively effect the environment. The goal of Soldier On is to rehabilitate troubled veterans to become contributing members of society. A portion of the housing will be occupied by vets who pay rent and taxes, a model that Soldier On developed for several reasons. Down ing estimates more than 1,200 veterans in the Capital Region need housing, jobs and medical treatment. He is motivated by the unspoken agreement the country’s 23.5 million veterans made when they put on a uniform.